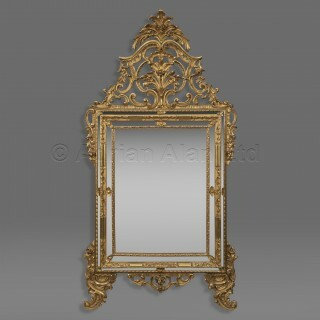 A Finely Carved Rococo Style Giltwood Marginal Mirror With Pierced Cresting. 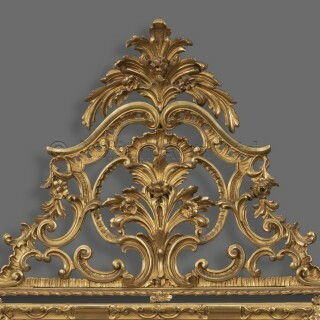 This fine and large giltwood mirror has a rectangular mirror plate within marginal borders, carved with ‘C’-scrolls and acanthus and surmounted by an elaborate arched pierced cresting. 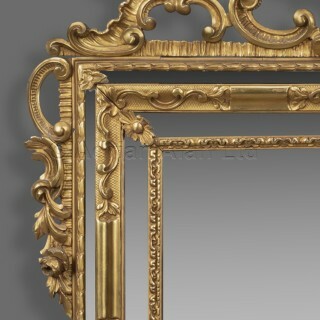 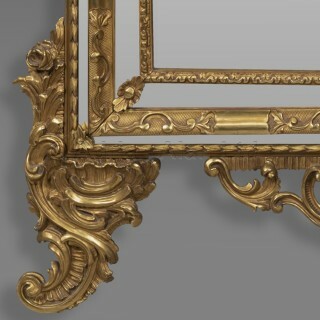 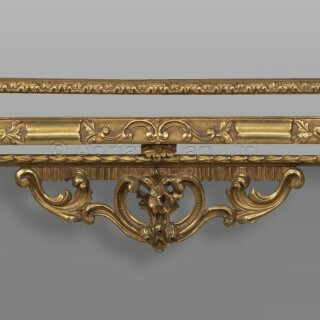 The mirror terminates in scrolling acanthus and foliate supports.